Since 1990, James J. Ruggiero Jr., Esq. AEP®, EPLS has been helping families and business owners in Pennsylvania, New Jersey, and Delaware create estate plans aimed at transferring their legacy successfully to the next generation. He is owner of Ruggiero Law Offices LLC, with offices in Paoli PA and Center Valley PA. where he practices in the area of estate planning, estate administration, elder law, business law and real estate. Jim’s planning experience includes the use of wills, revocable and irrevocable trusts, IRA trusts, and life insurance trusts. From an administration perspective, he has overseen the administration of estates of varying degree of complexity including insolvent estates to those values exceeding 20 million and ten year estate accountings. Jim has developed a niche in dealing with closely held small business owners in advising on formation, growth and succession of the business. He has advised clients on contract negotiations, employee contracts and disputes, patents, copyright, real estate lease and purchase. Attorney James J. Ruggiero Jr. has achieved board certification as an Estate Planning Law Specialist, one of only a few to attain this in the country, awarded by The Estate Law Specialist Board, Inc., an attorney-run subsidiary of the National Association of Estate Planners & Councils in Cleveland, Ohio. Additionally he has attained designation as an Accredited Estate Planner, awarded by the National Association of Estate Planners & Councils. Mr. Ruggiero has been recognized in Main Line Today and Philadelphia Magazine as a Top Attorney in Trusts & Estates & Elder Law and a Five Star Wealth Manager for numerous years. He is a board member of the Estate Planning Council of the Lehigh Valley, member of the National Academy of Elder Law Attorneys and former council relation committee member for the National Association of Estate Planners & Councils. 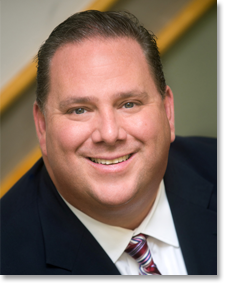 Additionally, Mr. Ruggiero is the Pennsylvania partner for Elder Care Matters, a national directory of elder care resources, and member of the Chester County, Pennsylvania and American Bar Associations where he is active in the Elder Law, Probate and Trust Real Property Sections. Active in the community, he is the President of the Foundation for Planned Lifetime Assistance Network, and former Chairman of the Business Department Advisory Board of Immaculata University and Past President of the Chester County Estate Planning Council. Throughout his career, Jim has given countless presentations for the Pennsylvania Bar Institute, WealthCounsel LLC and the Trial Lawyers Association. He is often asked to serve as a course planner. His seminar topics have included PA Inheritance taxes, Advanced Estate Planning Issues, Special Needs Trusts, Estate Planning for Retirement Assets and Retirement Asset Disclaimers, Business Succession Planning, and Planning for persons with Diminished Capacity and Distribution of Assets upon Death. He received his B.A. from Ursinus College and his J.D. from Widener University School of Law.